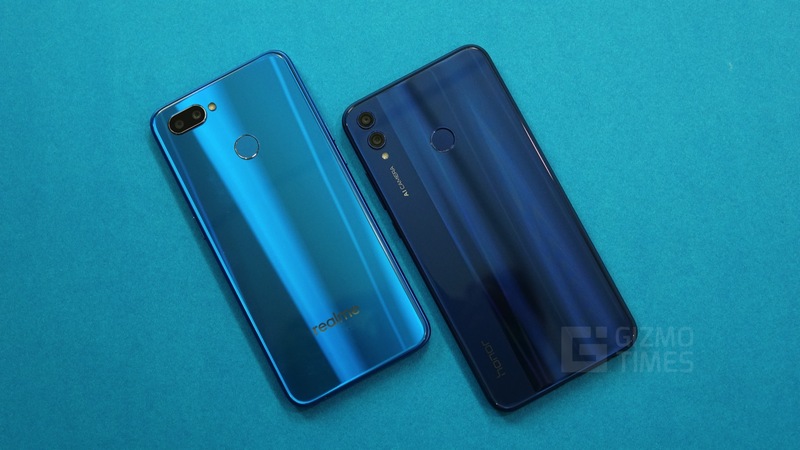 With brands like Xiaomi and Honor taking up most of the budget smartphone market for a very long time, it was important for a new entrant in the market to offer some significant competition. 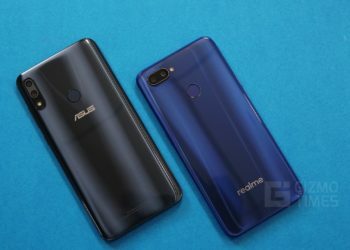 Realme was just the right brand and it was successful in taking the market by a storm with their very first smartphone, the Realme 1. 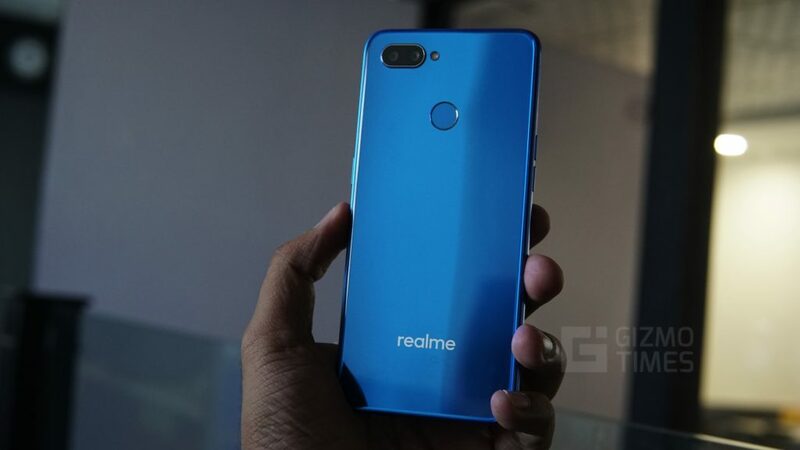 The brand has launched a few more smartphones in the similar price segments and the latest one here is the Realme U1, this smartphone has the potential to make Realme one of the top emerging brands in India with the aggressive pricing and continuously expanding the portfolio. The U series is new to the brand and the Realme U1 is the debutant of this series, the series is focussed more on the selfie-takers. This new series adopts the strategy of the widely popular F series from Oppo. 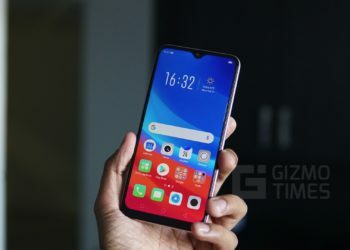 Along with the very high-resolution front camera, the Realme U1 is also the first phone to run on the MediaTek Helio P70 SoC making it more powerful and efficient than its predecessor, the Helio P60. The Realme U1 effectively offers competition to the Redmi Y series from Xiaomi which is a selfie-oriented series from the brand. 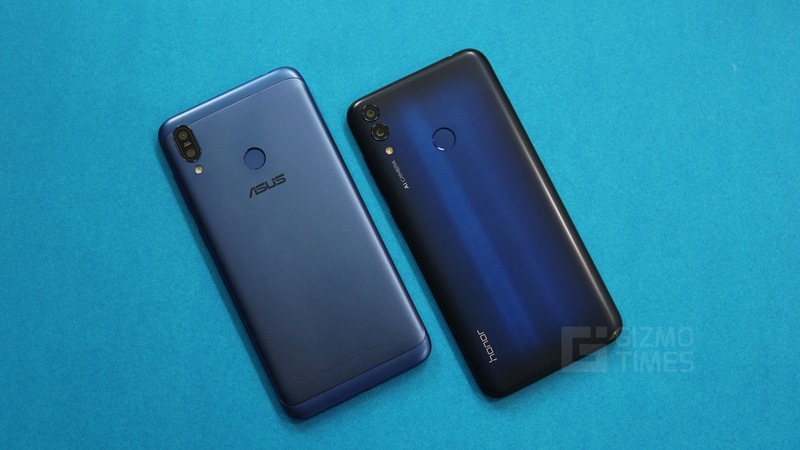 Other notable smartphones in the same segment include the Asus ZenFone Max Pro M2 and the Xiaomi Redmi Note 6 Pro. 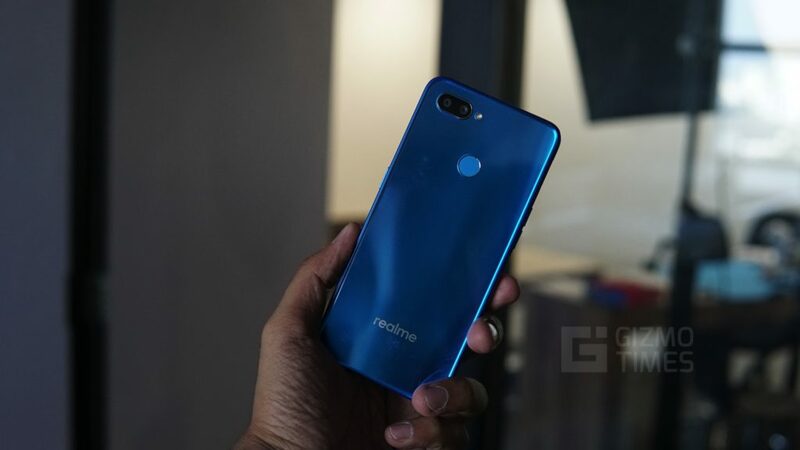 The Realme U1 bears striking resemblance to the recently launched Realme 2 Pro which is not necessarily a bad thing. The curved edges of the smartphone offer a very good grip and the material finish on the rear makes it less slippery in general. The display on the front is a little above the rest of the body and thus the edges show a difference from the sides of the body and the same is noticeable on the laminated rear panel. The back panel of the device is a scratch magnet and easily got scratched with regular use within the first few days of the usage, the device is not very thick, and the weight distribution is uniform making it very comfortable to hold in the hand. The button placement is good, and the tactile feedback is the right amount, even with relatively smaller hands I could reach all the buttons without a far reach. The SIM slot on the left holds two Nano SIM cards and also a microSD card, the choice of a dedicated slot over a hybrid slot is very much appreciated. 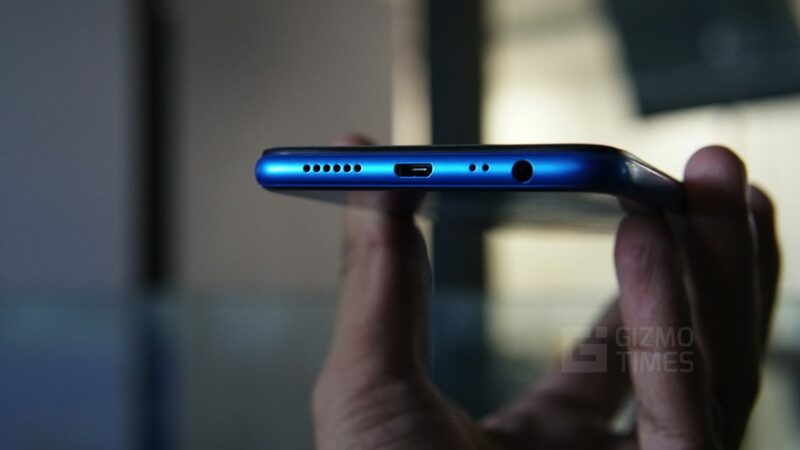 The bottom of the smartphone has a speaker grilled, an outdated microUSB port and the 3.5mm earphone port. The speaker grille is placed at a position that can easily get blocked when watching videos in landscape mode or while playing games. The back panel looks like a glass back, however, it is just a laminated back panel and has a nice visual appeal with the light bouncing off it. The dual camera module to the rear does bulge out a little, but it doesn’t cause too much hindrance. The fingerprint sensor on the rear works well and we had a smooth experience with it overall. The face unlocks works very quick in good lighting conditions and tries to compensate in the light by glowing the display brighter than normal which can stress your eyes. The Realme U1 comes with a 6.3-inch display with a resolution of 2340×1080. The panel of choice here is an IPS panel and has a peak brightness of about 450 nits making the display usable even in direct sunlight. The settings app offers basic adjustment for color temperature and other details. 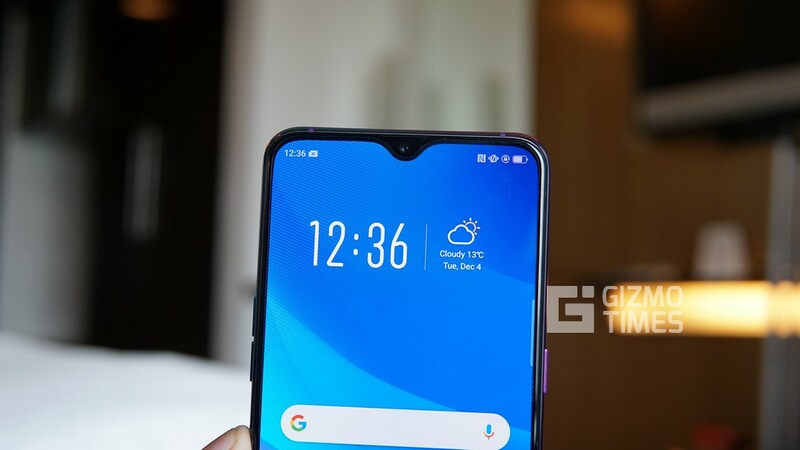 In terms of protection, the brand uses Corning Gorilla Glass 3 on the front which is very dated, especially, considering brands like Asus using the latest Gorilla Glass 6 in their new smartphones. 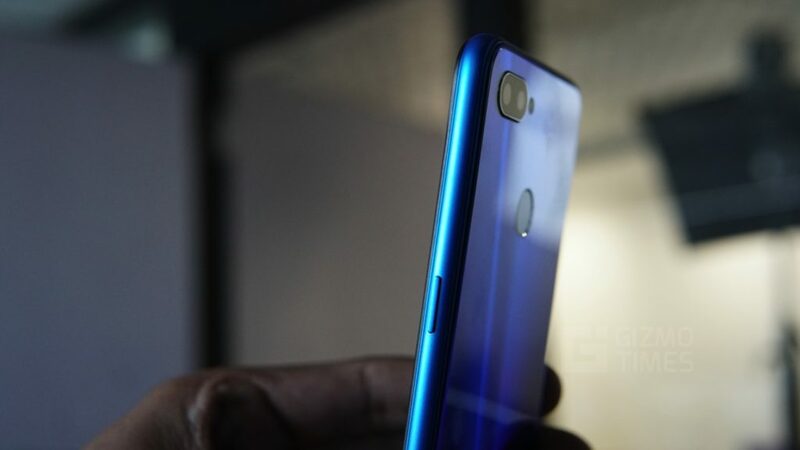 The dewdrop notch on the top is a massive move previously seen on the Realme 2 Pro, this reduces the hinderance in certain full-screen applications. There is also a switch in the settings application to mask it for individual applications. The dew-drop notch accommodates the single camera, rest of the sensors and the earpiece is accommodated comfortably above it. The Realme U1 comes powered with the MediaTek P70 chipset which is much more powerful and efficient than the Helio P60 that was seen before on the Realme 1. The new chipset includes an improved MediaTek on-chip AI processing engine making it more efficient and powerful. We got a score of 1,43,242 on the AnTuTu results and Geekbench returned 1571 and 5814 in the single core and multi-core tests. 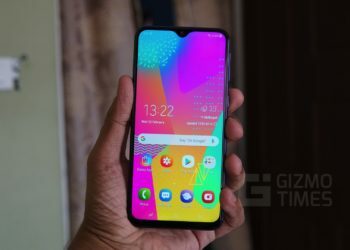 This is much higher than the scores we saw on the Realme 1 and comparable to devices with Snapdragon 660 such as the Realme 2 Pro. The device comes as two variants and the 4GB RAM variant has 64GB internal storage while the 3GB variant has 32GB internal storage. The device performed pretty well for the daily usage and did stand up to our expectations. The display on the device is pretty good and has the right amount of saturation to it, the viewing angles add up and making it a really good display for the price. Even during the benchmarking and little gaming that we did, the Realme U1 remained cool for the most part and delivered very good frame rates on Asphalt 9 even at the High Graphics pre-set. We also tried out Need for Speed No Limits and the gaming experience was pretty good. 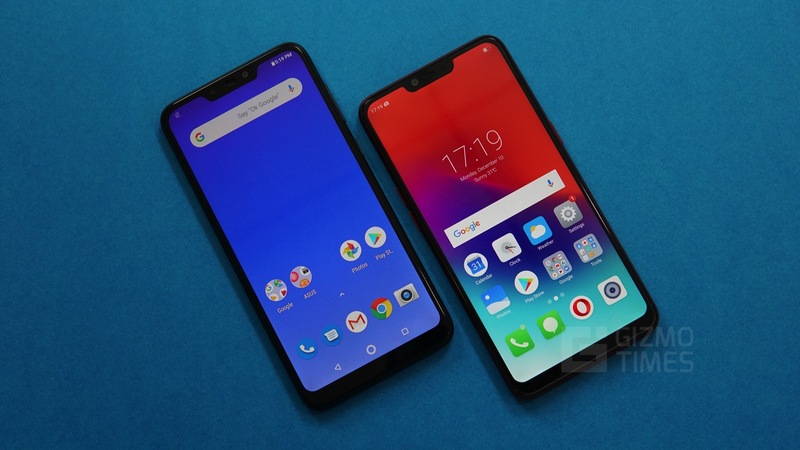 The smaller notch and the slim bezels offer a very immersive experience, the only time we could get the device to heat up was after continuously gaming for hours which is common with most phones. The Realme U1 runs on the Color OS 5.2 software that is based on Android 8.1 Oreo, the same one that powers the Realme 2 Pro. The last time we used the device, it ran the October 2018 security patch and it is expected to receive the Android Pie update early 2019. The ColorOS has improved hugely over the past years and several tweaks now make the experience better. 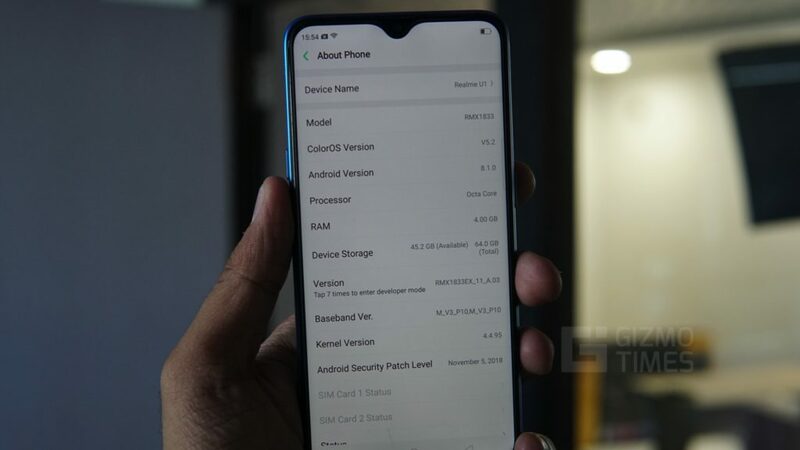 The Realme U1 now comes with few newer preloaded apps which cannot be uninstalled, the ORoaming application was previously seen on the Chinese version of ColorOS in a few Oppo phones and it is now available n India. The application essentially provides various international roaming options to the users which can be purchased online. The Smart Scan application included allows you to perform OCR text and now supports the Hindi language. Using the Smart Scan application, you can scan a document and convert the text to editable format. The ORoaming application generates a virtual card and allows the usage of data services in international countries, this allows you to use data services without swapping SIM cards and the price ranges between $11 to $21 a week based on the country you need access for. Most countries have up to 1GB of data access with few countries like Australia and Hong Kong having access up to 4GB. We didn’t get to test the application but if it works, the service could come very handy for business travelers. The Realme U1 is a selfie focussed smartphone and has a 25 megapixel IMX 576 camera with an aperture of f/2.0. A similar setup was previously seen on the Oppo F7 and the device performs very well in daylight with detailed captures and good skin tones. Surprisingly, the AI Beauty mode isn’t too aggressive now and does a good job in smoothening the skin without making it an overkill. There is a super vivid mode in the camera that captures highly saturated colors for those who prefer it that way. The depth-mode does a decent job of creating a portrait effect by blurring the background. There is an option which enables the camera to use four pixels to generate one effective pixel using pixel binning technique, this offers better detail in the image with a reduced image resolution. In the low light, however, the camera struggles to capture any detail in the images. Selfies look grainy in low light and even turning on HDR doesn’t help too much. 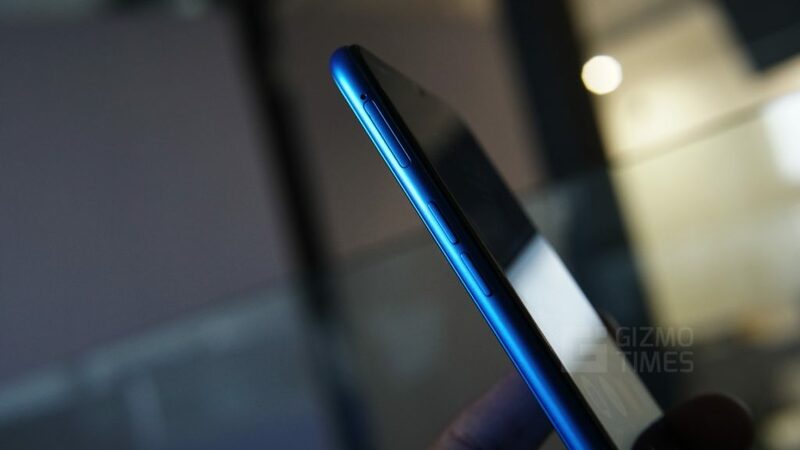 Edge detection is just average, and we’ve seen errors often in the depth mode, this, however, is expected to improve as the brand has stated that an update will soon be released correcting this. The rear camera is a 13MP sensor with an f/2.2 aperture and it does a fairly good job with the details being captured correctly. 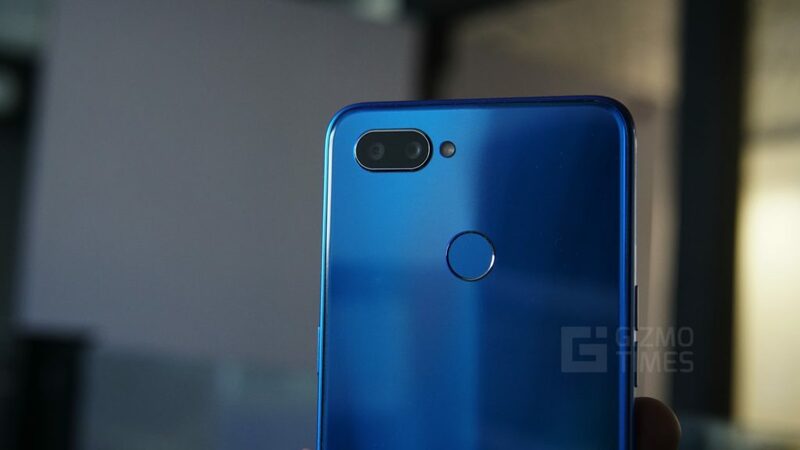 However, similar to the front camera, even the rear shooter struggles in low light and the Auto Focus does take up a significant amount of time, especially in low light. The Super Vivid mode helps pop the colors when needed and HDR works decently. There are several shooting modes including Panorama, Time-lapse, Portrait and Professional mode for the ultimate control. The video recording is limited to 1080p and there is no electronic stabilization, the quality of the recording is decent, and the frames are smooth with no jitter. Despite being powered by the Helio P70 it was surprising to see the lack of 4K support on the device. The Realme U1 comes with a 3,500mAh battery that lasts a full day on a single charge. The device doesn’t support any quick charge technology and comes with a standard 10W adapter. Heavy usage such as gaming and photography resulted in the battery lasting little less than a day, but on most days, using the device as a secondary device we could get over a day’s usage with a lot of juice left. The device doesn’t heat up while charging or gaming, this helps improve the efficiency and lifespan of a battery. The Realme U1 starts at a price of Rs 11,999 for the 3GB RAM with 32GB internal storage variant. The battery life is decent and the SoC is very powerful. The strongest competitor to the smartphone is the Redmi Y2, however, as both the devices struggle in low light anyway, the Realme U1 might be a better choice considering the modern design and the better SoC. 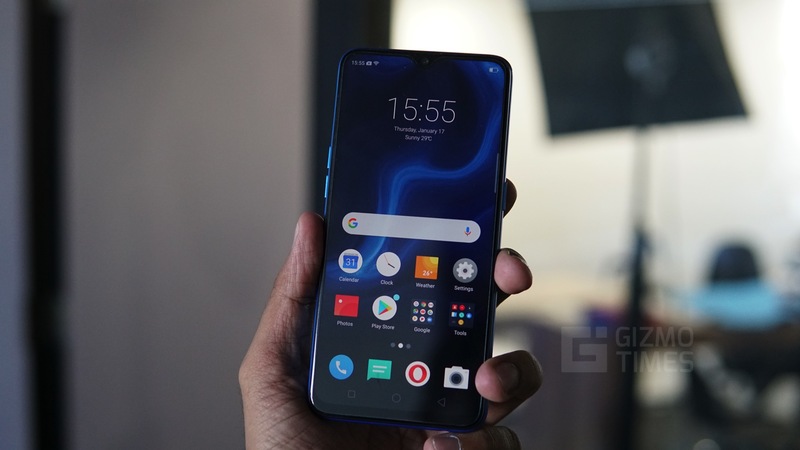 The 4GB RAM variant of the smartphone comes for Rs 14,449 which stacks it against the Realme 2 Pro, the Realme 2 Pro here is a better choice as it supports 4K video recording.